You’ve probably noticed, from time to time, survey results on trust—which professions we trust the most, which institutions, which messages, channels, and so forth. The most recent such data—from Nielsen— tells us that web users around the world trust the recommendations of others more than they trust advertising. Other surveys tell us we put “a person like yourself” ahead of all others. Still others tell us the relative trustworthiness of various professions. There are two messages in these surveys—one explicit, the other implicit. The explicit message is the headline—we trust doctors more than newscasters, we trust blogs more than advertising, and so on. Those data tell things like “who’s winning,” and how Australians differ from Chinese. Interesting. Food for marketers’ thought. And great for parlor conversation. 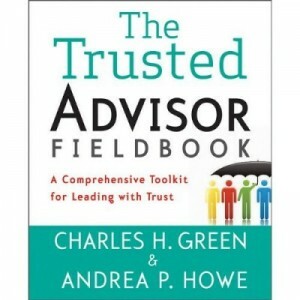 But the implicit message is about the nature of trust itself. Which is not at all obvious. Silly, because such a survey just re-enacts a trivially true definition as if were a new empirical discovery. But isn’t trust much the same? We all have an instinctive sense that we trust certain people more than others. If I know you, have history with you, have shared personal moments with you, converse with you, work and play with you—then the odds are far greater that I’ll trust you than I’ll trust someone two degrees away on LinkedIn. So when Nielsen tells us that consumers trust consumers more than advertising, the headline is about the low trust scores of advertisers. But perhaps it shouldn’t be. 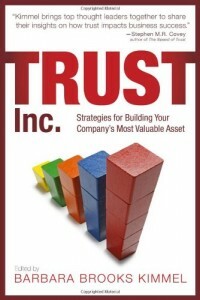 A major business trust issue today is how to “scale” trust. What can be done to networks of strangers to approach the high level of trust we see in more personal relationships? Some efforts focus on increasing network size—Amazon’s algorithm for predicting what books you’ll like, for example. It works very well—for predicting books you’ll like. But for whether you should buy a house now in this market? Hmmm. Other efforts focus on track records. Of those who recommend buying a house now, vs. waiting—who has the better record of predictions? This helps with investing—but do you trust your investment advisor to recommend restaurants? Or to play matchmaker? Still other efforts increase the bandwidth available for us to evaluate others: Facebook and Match.com owe a lot to the ability to let people be who they are, let it all hang out—and share it with others. The most successful networks will be those that replicate the full human experience—providing us broad markets, rich data—and deep exposure to the humanity of the others that lets us create bonds. Those are the networks that will end up being trusted. And end up scoring high on trust surveys. The cynicicism in politics comes in part directly from business practices politicians have absorbed.